When Angela Nissel found herself struggling financially while in college, instead of sulking, she decided to entertain herself by creating an online journal that chronicled her day-to-day trials and tribulations. 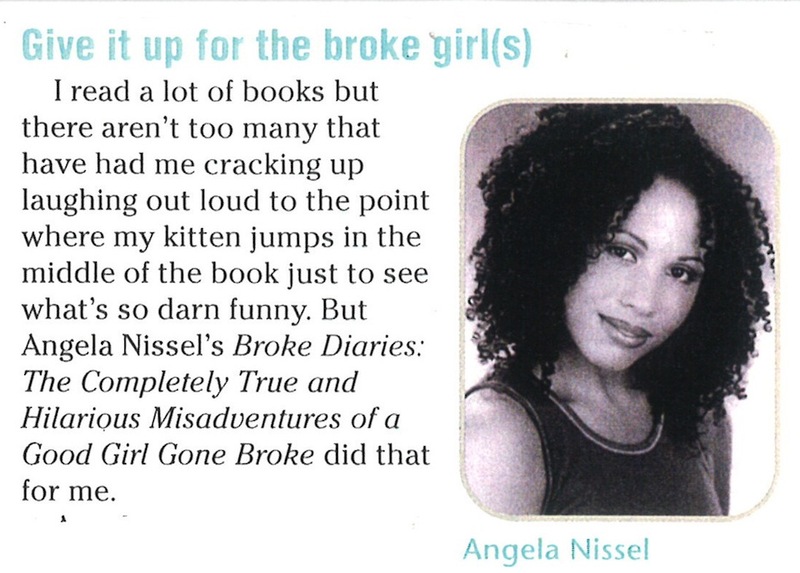 Written with humor and intelligence, her “Broke Diary” quickly found an audience as people wrote to Angela to empathize with, console, and laugh with her about her experiences and even share their own. 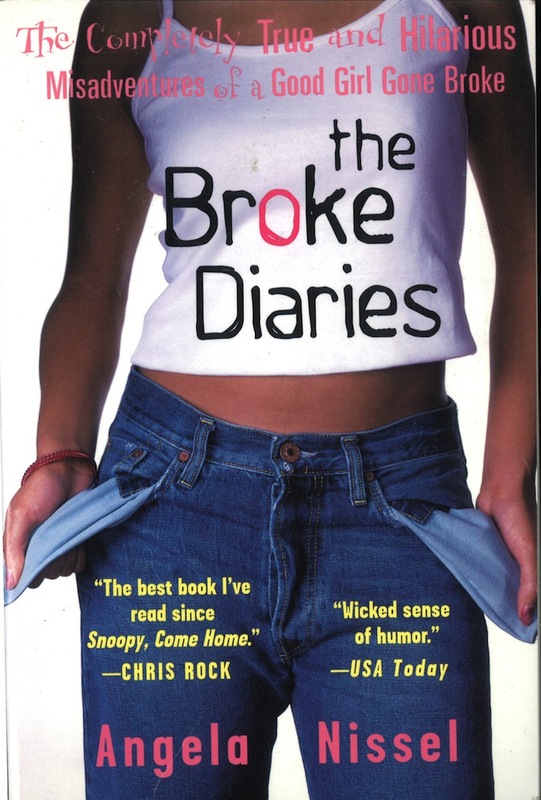 The Broke Diaries is the first complete compilation of her experiences, written in a voice that is funny, unique, and dead-on. On buying ramen noodles: I am sooooooo embarassed. I only have 33 cents. I (please don’t laugh) put the money on the counter and quickly attempt to dash out with my Chicken Flavored Salt Noodles. The guy calls me back! I look up instinctively, I should have run . . . Why didn’t I run???!! He tells me the noodles are 35 cents. I try to apologize sincerely. I thought the sign said 33 cents yesterday, so that’s all I brought with me. Could he wait while I ran home and get the 2 cents? I show him my student I.D. to let him know I am not a thief. He shakes his head and motions either for me to get the hell out of his store and never come back again or get the money as do come back. I don’t know. He said something like “Nyeh” and swiped his hand in my direction. I can’t translate hand motions well. Buy THE BROKE DIARIES on Amazon. © Angela Nissel. All Rights Reserved. Site design by Awesomely Luvvie.